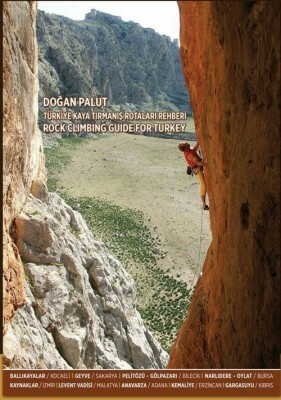 This rock climbing guide includes 1087 routes set between 1972 and 2018 in the following regions: Ballıkayalar (Istanbul/Kocaeli), Geyve (Sakarya), Gölpazarı (Bilecik), Pelitözü (Bilecik), Narlıdere (Bursa), Oylat (Bursa), Kaynaklar(Izmir), Anavarza (Adana), Levent Valley (Malatya), Kemaliye (Erzincan), Gargasuyu (Cyprus). The climbing regions covered in the previously published four books which also bear my signature (Ballıkayalar, Doğan Palut/Haldun Aydıngün, Homer Kitabevi, 2002; Türkiye Kaya Tırmanış Rotaları, Doğan Palut/Öztürk Kayıkçı, XI Artı Kitapları, 2003; Erzincan/Kemaliye, Doğan Palut, 2009; Batı Türkiye Kaya Kaya Tırmanış Rehberi, Doğan Palut, 2012), are updated and 4 new regions are added. These are Geyve, Oylat, Levent Valley and Gargasuyu. In this book of 277 pages you would find all the rock climbing routes set by sport and traditional style in the 10 climbing regions of 8 districts and Gargasuyu in Cyprus. The climbing regions covered in the guide include various notes such as Climbing History/General Information, Travel/Logistics, Climate, Equipment, Warnings, First Aid and Medical Assistance, Rest Days, Access to the Sectors, Overall Evaluation of the Sectors, Route Drawings, Route Tables, Climbing Photos, Index and Difficulty Grades Conversion Table and other additional information.